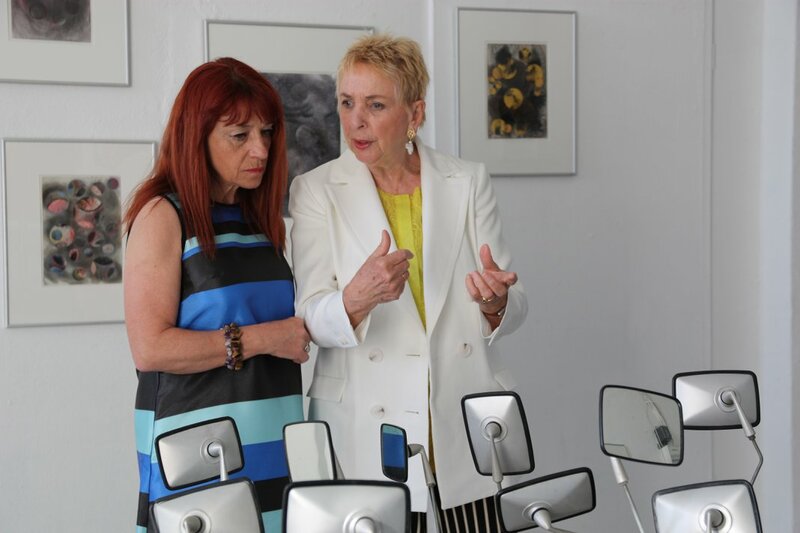 Gisela Weimann, auf und davon, 2018. 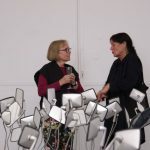 Über Allem Die Sterne – Sobre Todo Las Estrellas [Beyond Us, the stars] is the title of the artist Gisela Weimann’s parallel solo exhibitions in Berlin and Madrid, which takes place in 2018 within the framework of the anniversary of the thirty year partnership between these cities. 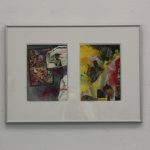 The title suggests real connections – an approach that has determined the cosmopolitan, network-forming artist’s practice for decades – while simultaneously referring to the cosmic, the power of the celestial, the abandoning of the everyday – which are also recurring themes in Weimann’s work. 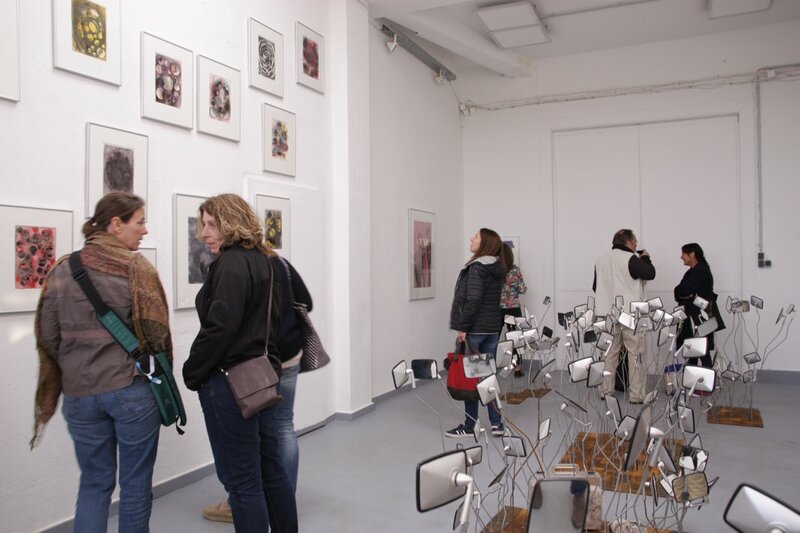 The Berlin artist’s relationship to Madrid extends back to the 1990s when she was a DAAD Guest Docent at the university there. 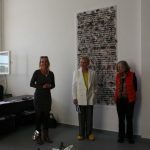 During this time, she worked with Brita Prinz on a photo exhibition and began the long-term exchange with the Romanian artist Andor Kömives. 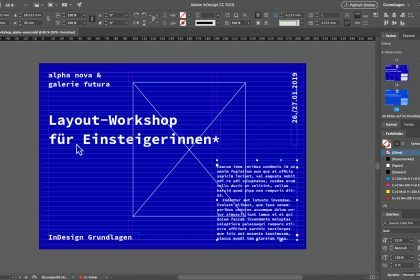 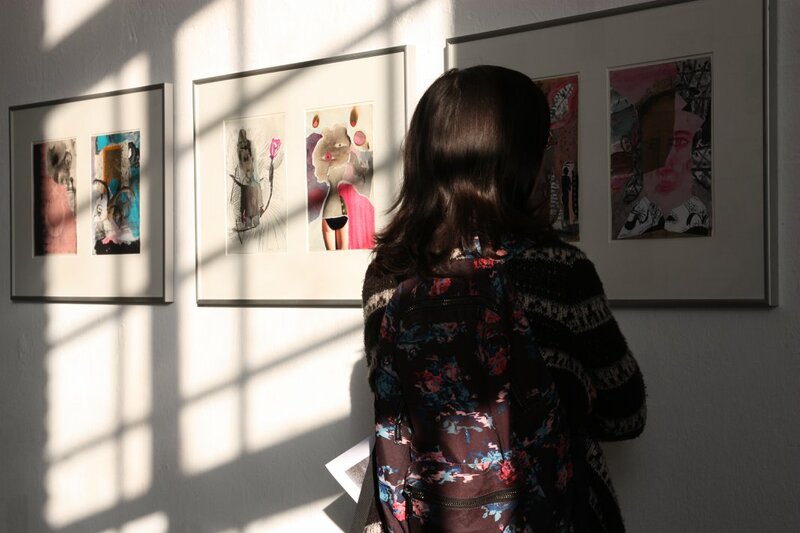 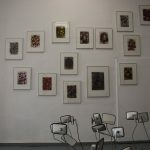 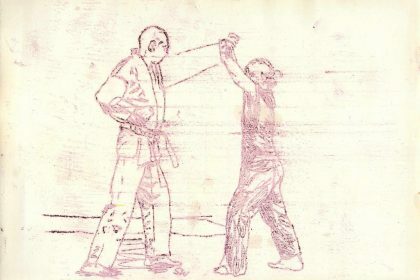 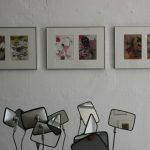 This resulted in the cooperative project “Fragments of the Other”, in which the artists entrust one another with sketches from their respective work tables to freely design their own collages. 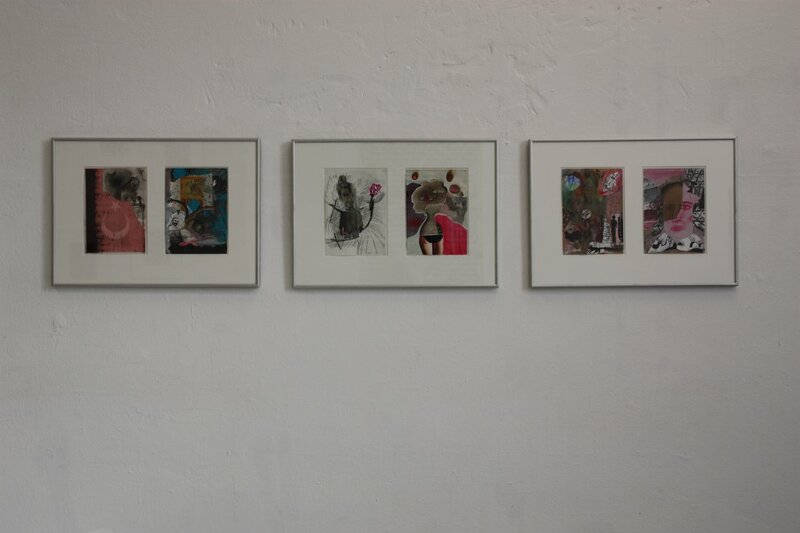 Over the years, the resulting collages reflect the influences, development, and themes of their respective work. 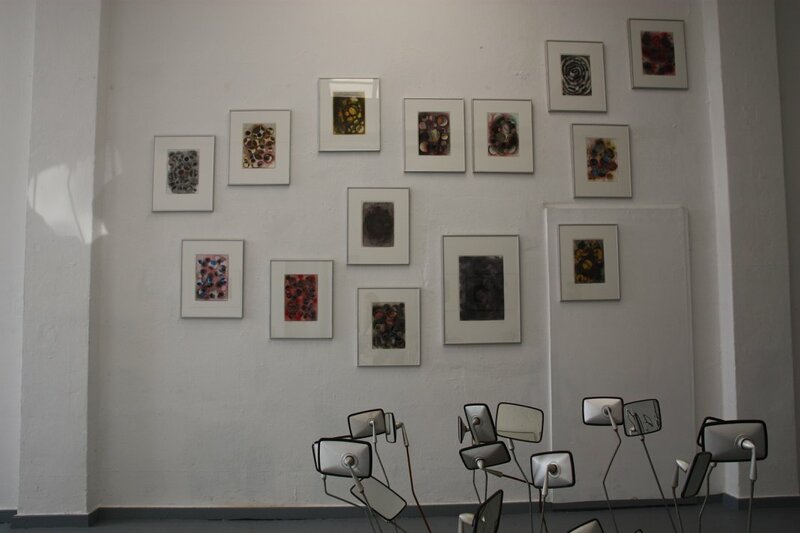 In the meantime, 432 collages have been made since the beginning in Madrid. 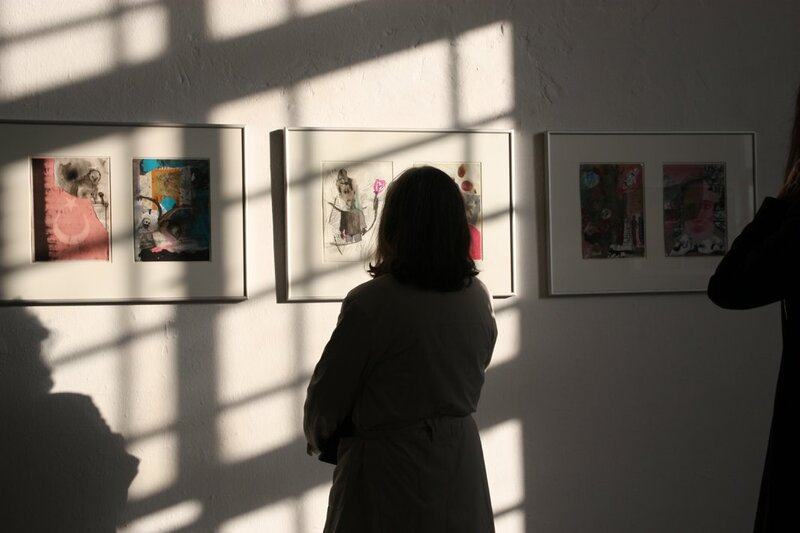 A selection of originals and an expanded video animation with all of the collages can be seen in both exhibitions. 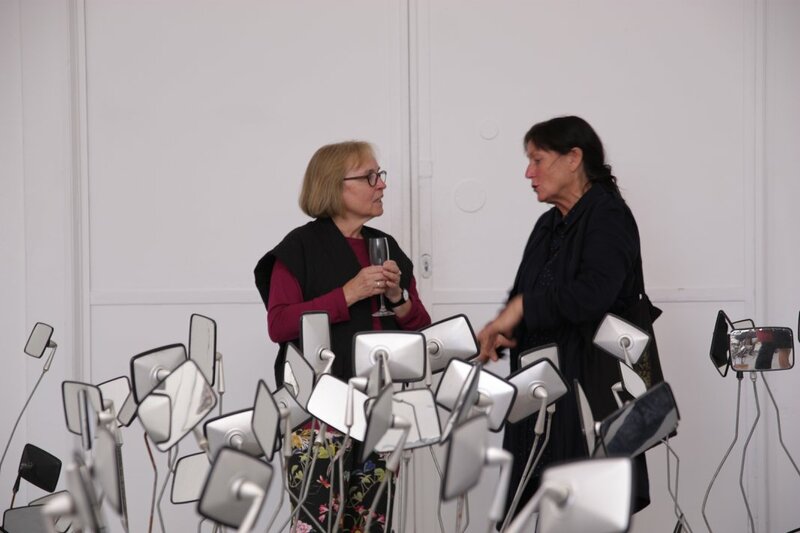 The dialogical principle can also be seen in the recurring connection of different forms of expression like images, poetry, text, music, and dance in Weimann’s work, which the artist employs in drawings, collage, photography, and video, as well as large-scale installations. 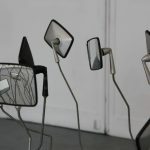 Many of her workgroups are presented as a series, and therefore confront the stubbornness of time. 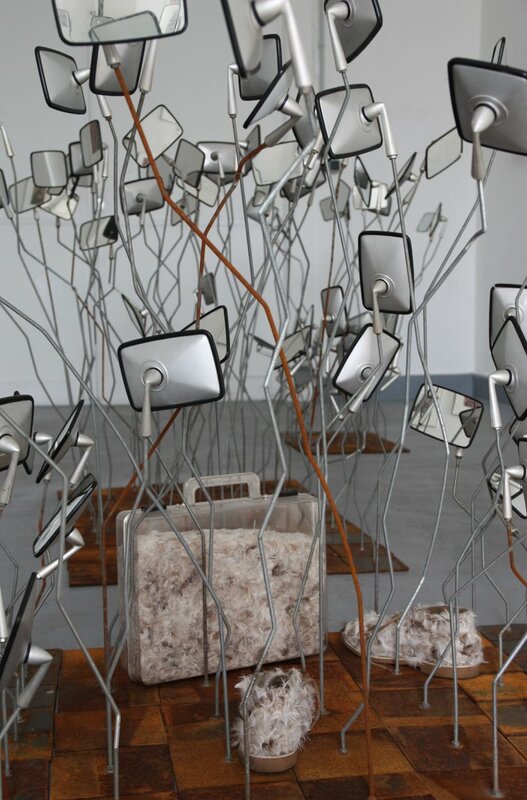 They selectively provide insights into the creative processes; however they point towards their incompleteness, their future. 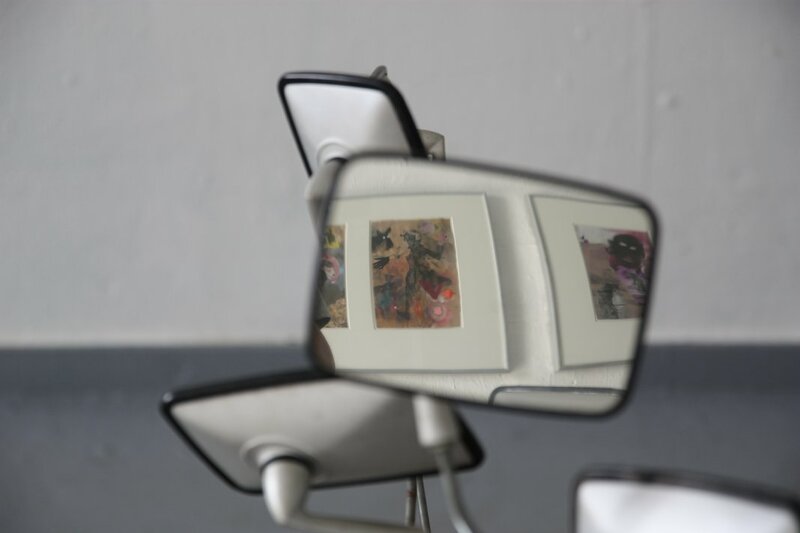 The examination of transience and time, particularly one’s own lifespan, is significant for Weimann, accompanying her artistic creation for decades and materializing in poetic diary drawings. 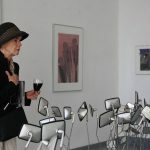 In both exhibitions, excerpts from her recent texts serve as connecting elements to the works on view, which resist impermanence and its temporal classification. 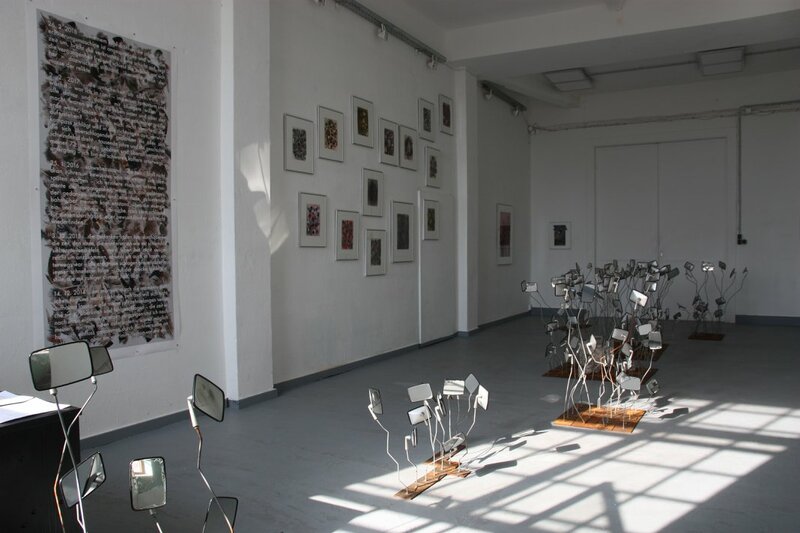 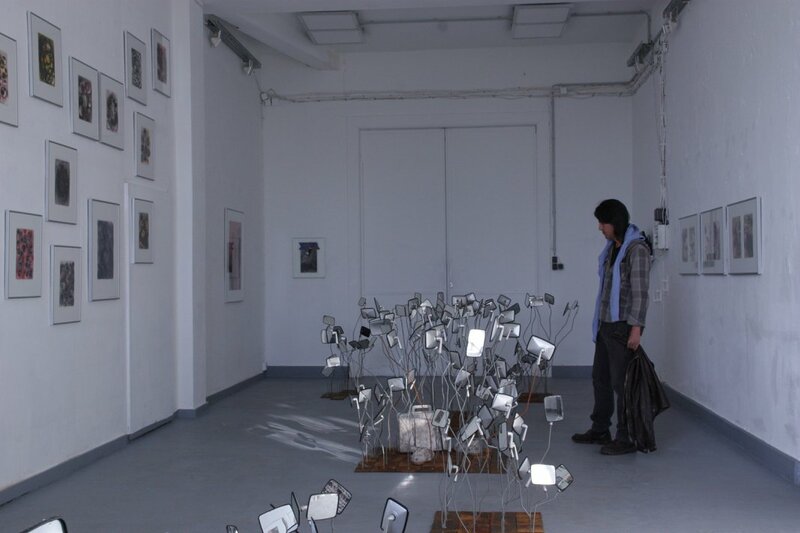 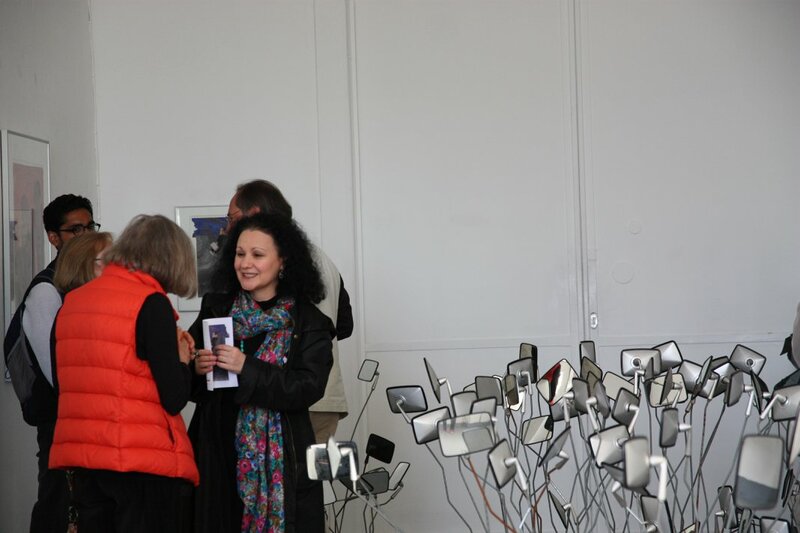 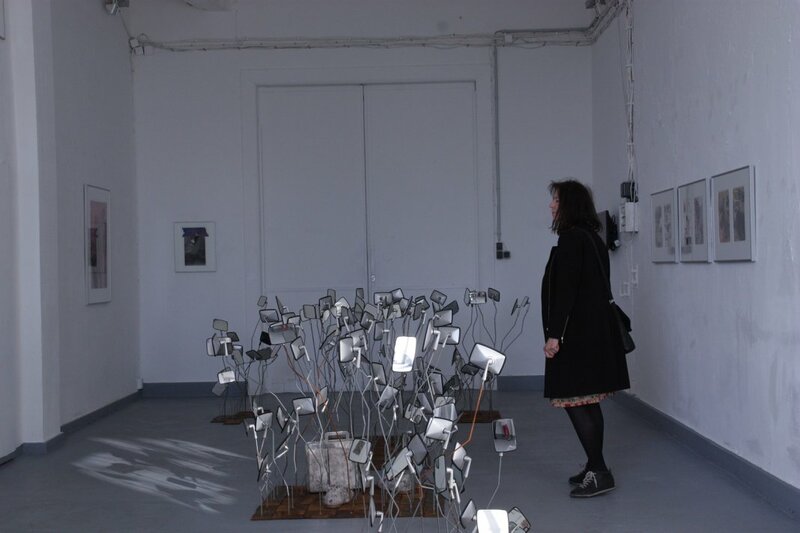 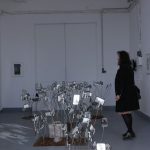 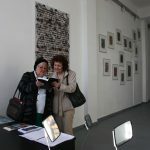 “Garden of Memory” is the central installative work at alpha nova & galerie futura. 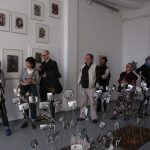 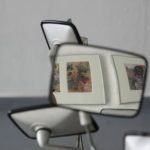 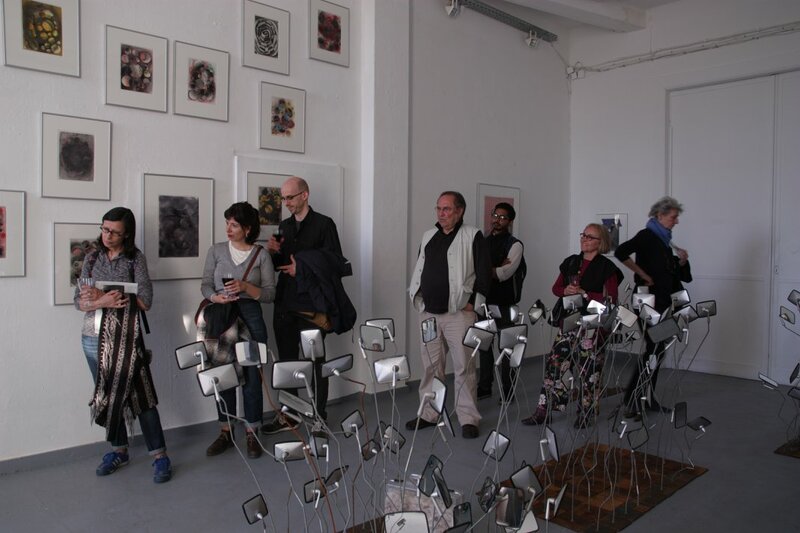 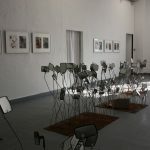 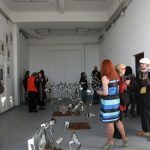 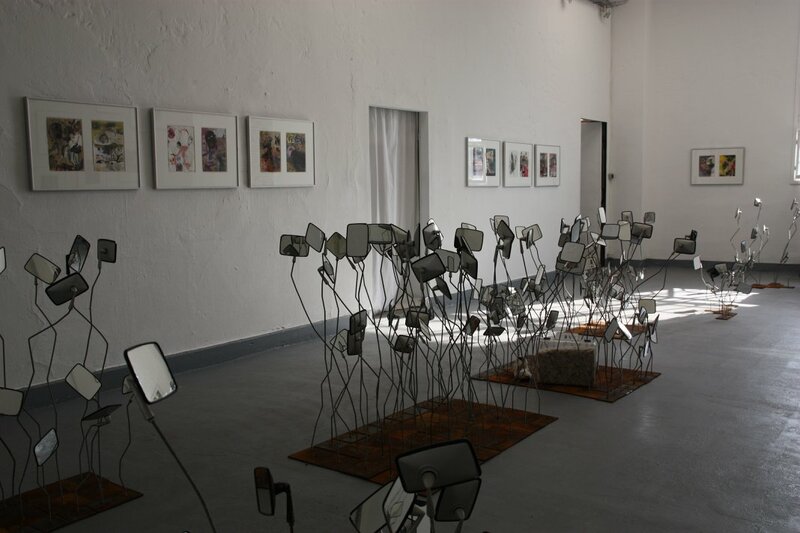 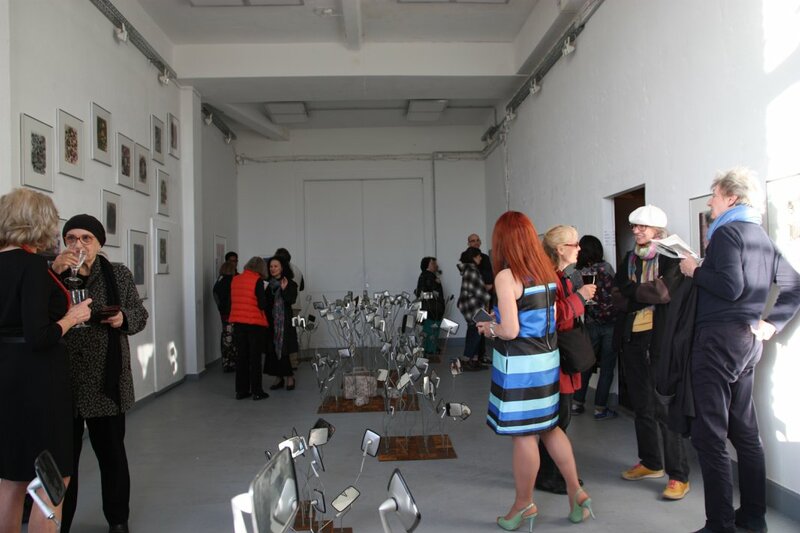 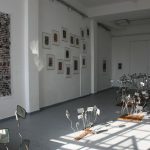 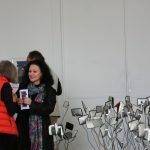 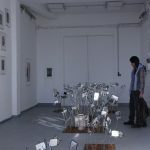 More than a hundred small car mirrors stretch organically in all directions, capturing fragments of the room as well as works shown on the wall, showing excerpts, opening new visual axes, and connecting the work groups with one another. 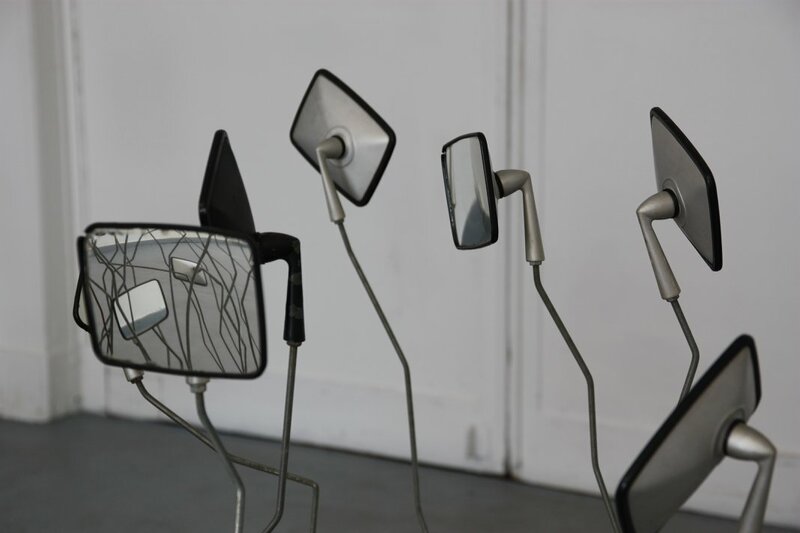 At the same time, they cast a glance back, requiring a pause and an awareness and sharpening of perception in its multi-dimensionality. 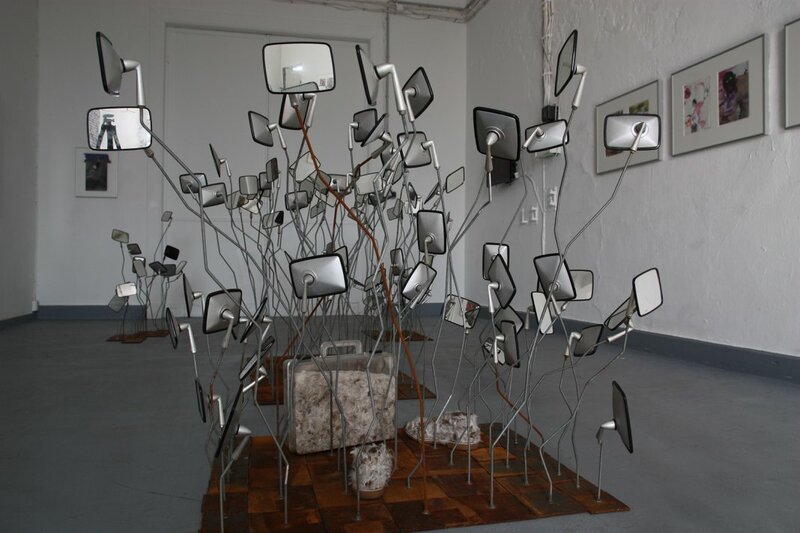 The mirror emerges as a theme in different facets of Weimann’s work. 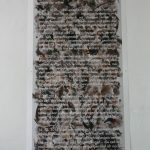 It represents both the inner as well as outer reflection: one’s own life path, death and transience, personal experiences and memories, often entangled with the intensive confrontation with alarming world affairs, social fault lines, and upheavals. 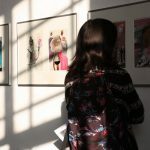 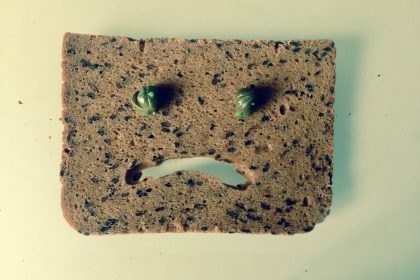 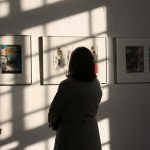 As an observer and contemporary witness who directly experienced the time, the artist creates aesthetic and poetic commentaries, which defy the gravity of the topic and meet it with a pinch of humor and irony. 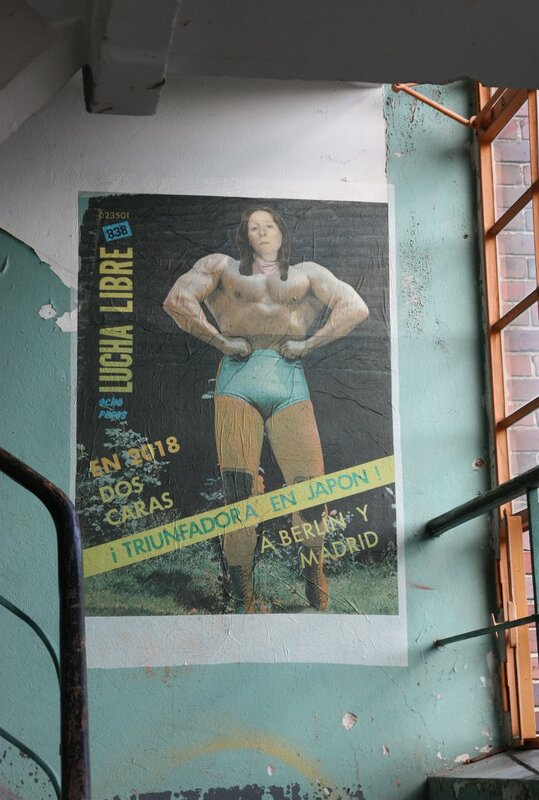 For example, in “Triunfadora”, a re-worked poster from a 1980s series of collages of wrestlers presented in both exhibitions, the artist inscribes her own image. 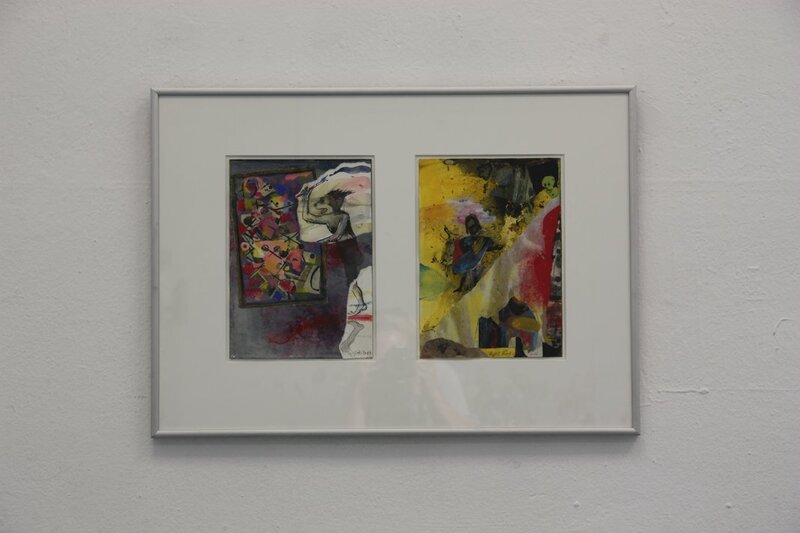 She plays with typical masculine body representations and thwarts this through the staging of her own person as the head of the fragmented body. 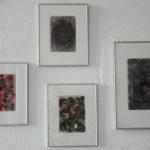 Gender attributes waver and new identities are created: the artist becomes an advocate of inner as well as outer freedom and female assertiveness. 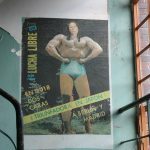 The poster fiercely states LUCHA LIBRE, which according to Weimann herself bears witness to the artist’s struggles and victories in many countries around the world. 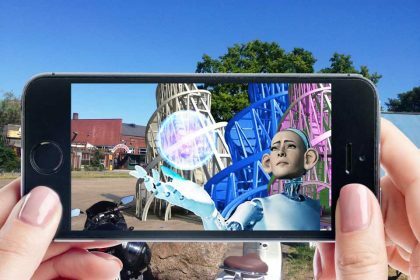 At the same time, the fantastical flares up–could it be the superheroine with the supernatural powers? 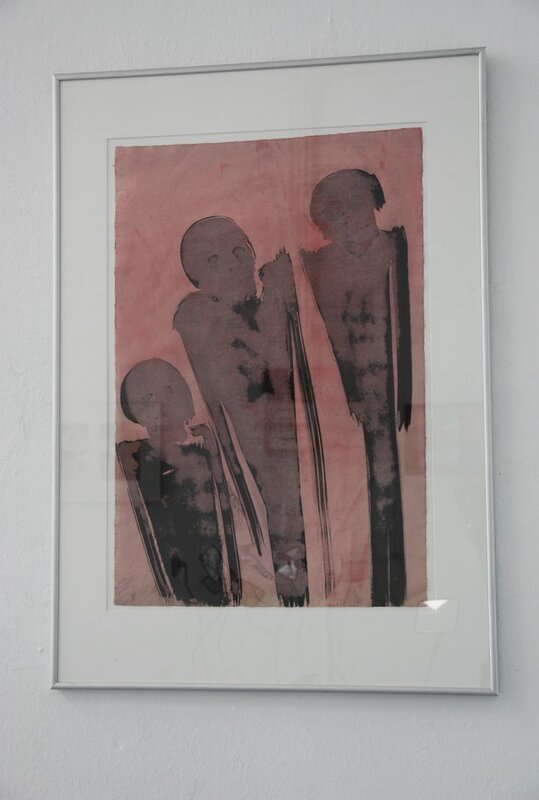 The search for and engagement with the supernatural materializes in particular in Weimann’s images of the cosmos “Beyond Us, the stars”. 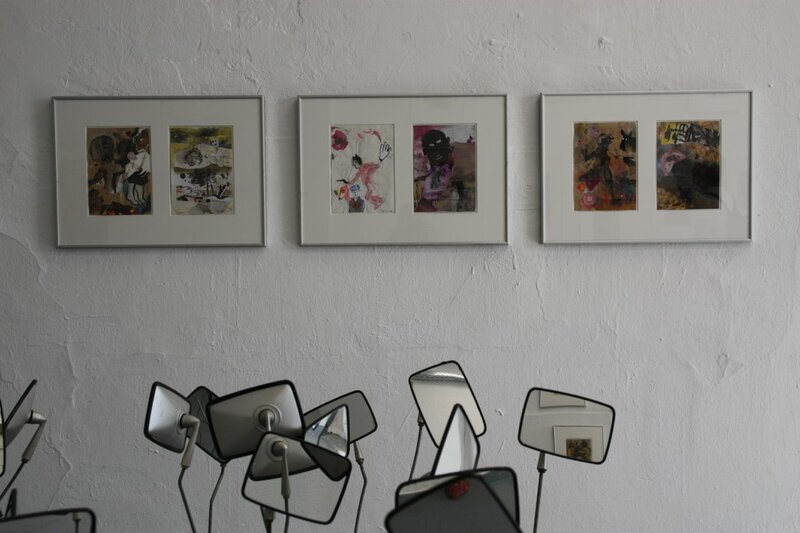 Also created as a series (since 2005), the artist completely immerses us in detailed universes. 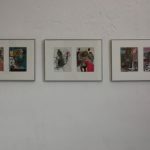 The selection of the multi-layered, explosively colored works on paper included in the exhibition alternate between collage and something more painterly. 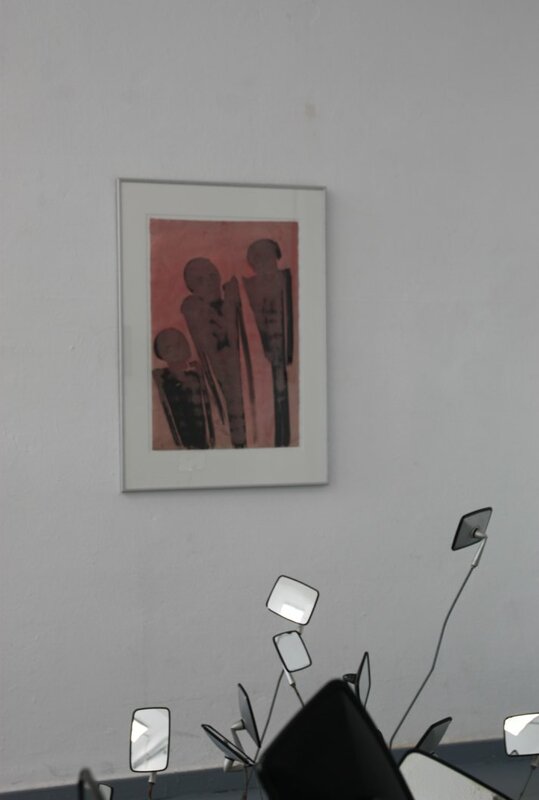 The cut-out stars also direct the gaze towards the universe that lies beyond it. 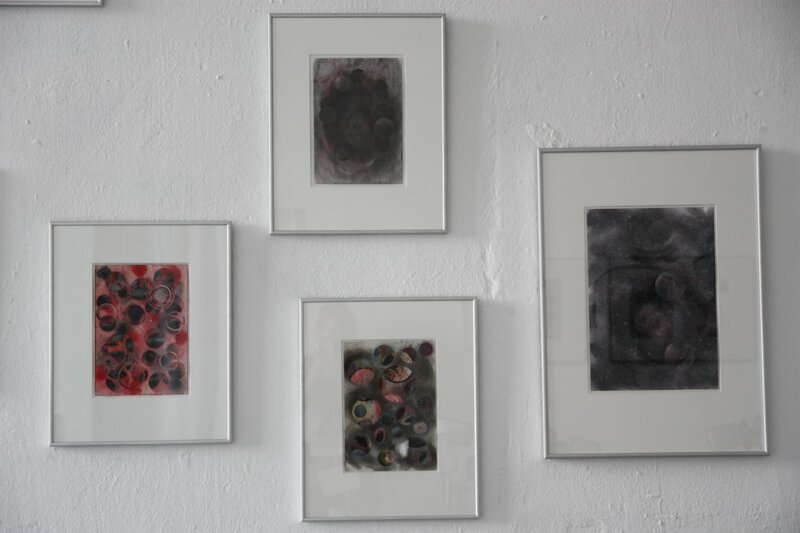 The scraps from the cutouts are in turn used as material for new, cosmic worlds on paper. 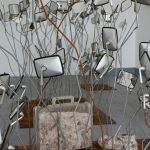 Weimann creates her own universe – consisting of dying stars, foreign planets, distant worlds, cosmic night, the world behind worlds, super nova, and the Milky Way – which infiltrate rational perspectives, allows perception to become multi-dimensional, and expands the horizon of the fantastical. 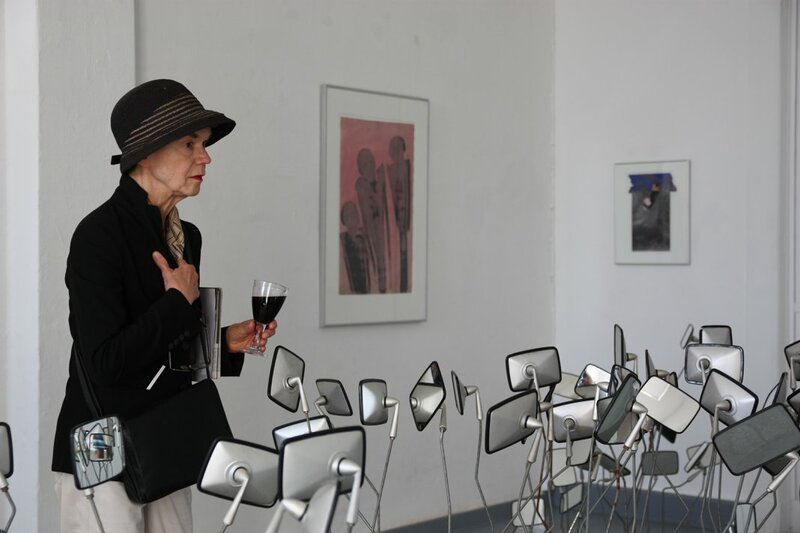 The artist has disentangled herself from her everyday life, her earthly environment, and extended her spatial boundaries into the infinite. 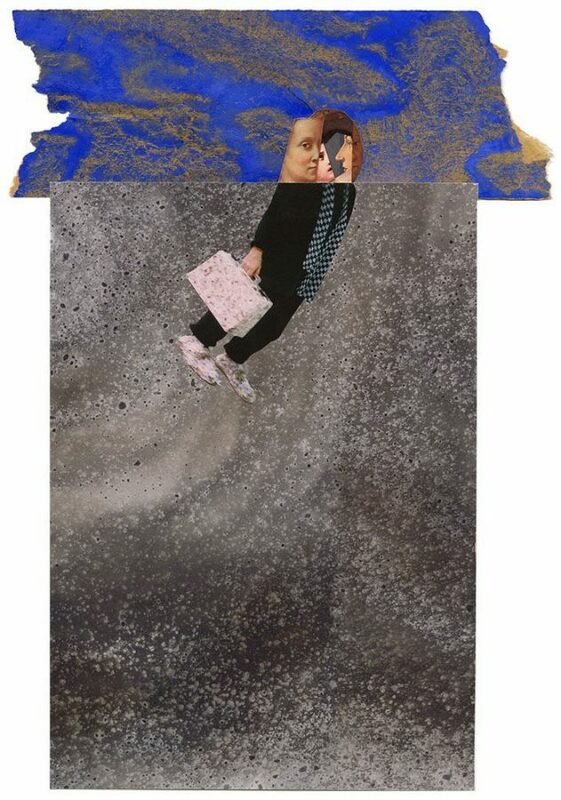 As a celestial traveler she ultimately plays the role of Hermes, as a messenger with feathered shoes and a suitcase full of feathers who, at a distance from the real, can reassess reality and simultaneously build a bridge there. 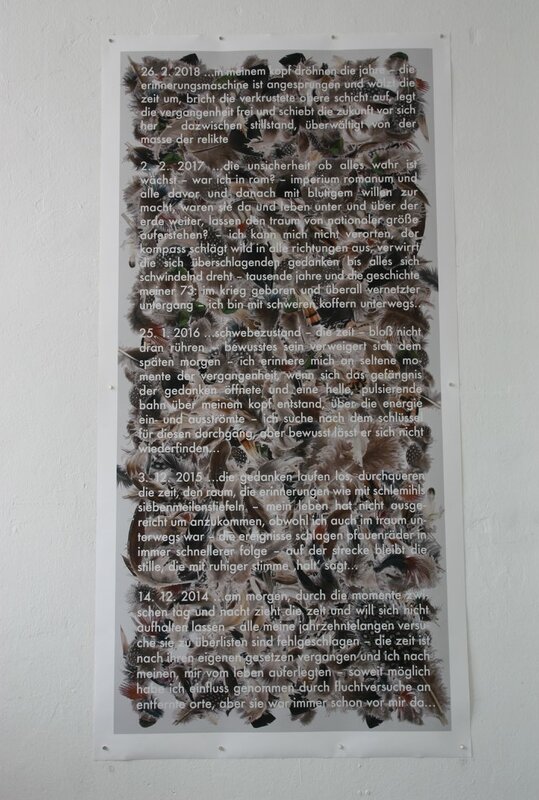 A photo work, as well as the feather shoes and suitcase, are also part of the Berlin exhibition. 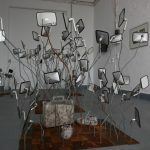 The suitcase will travel for the opening of the Madrid exhibition and symbolically connects both art spaces. 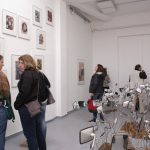 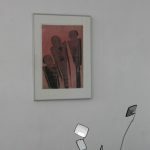 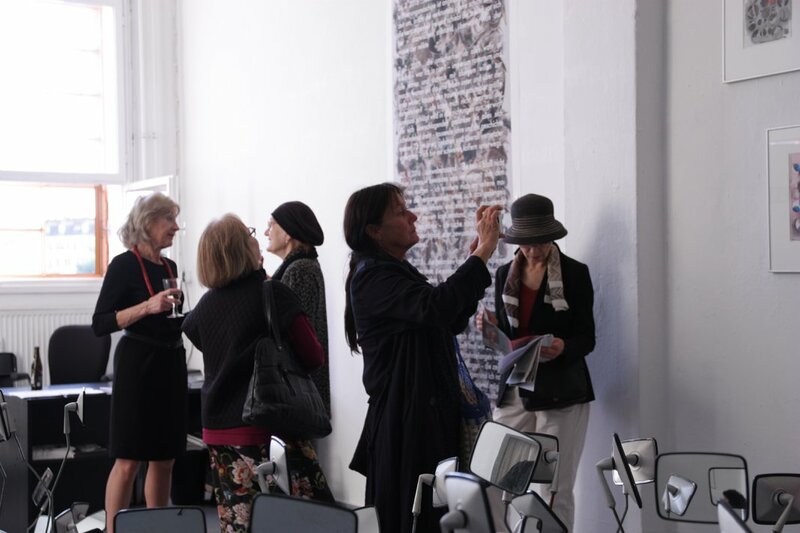 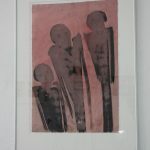 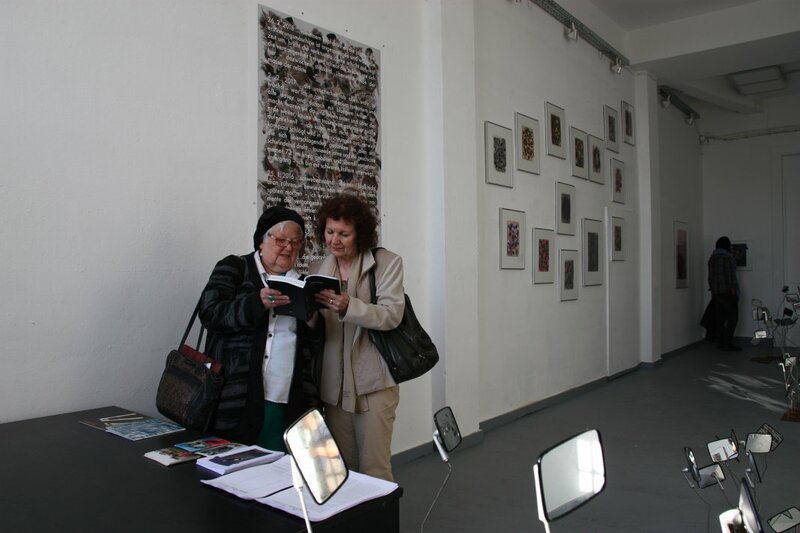 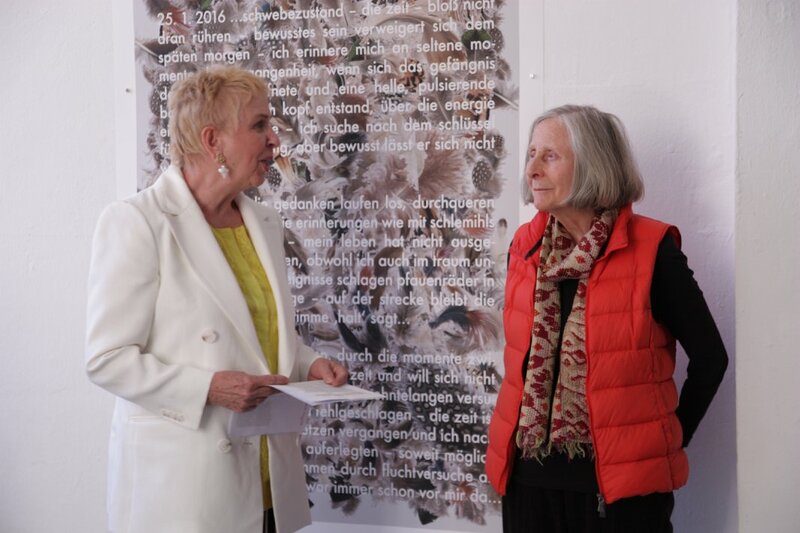 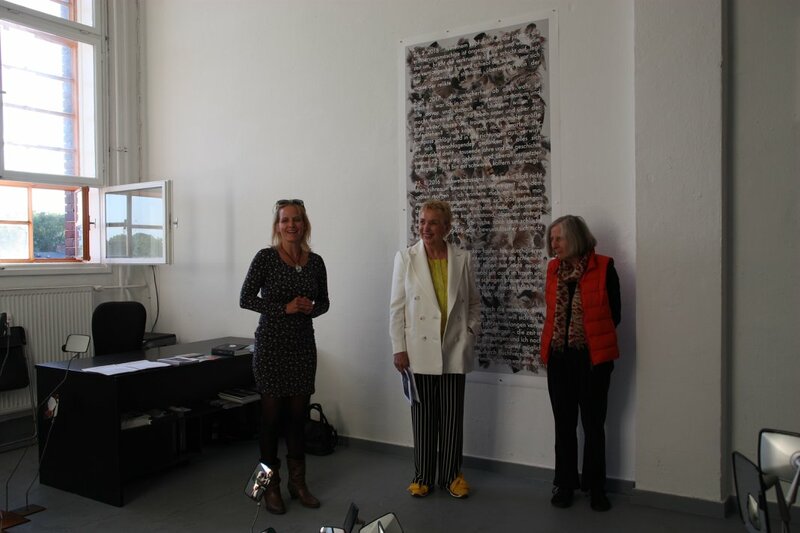 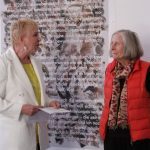 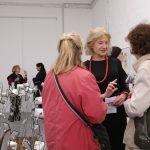 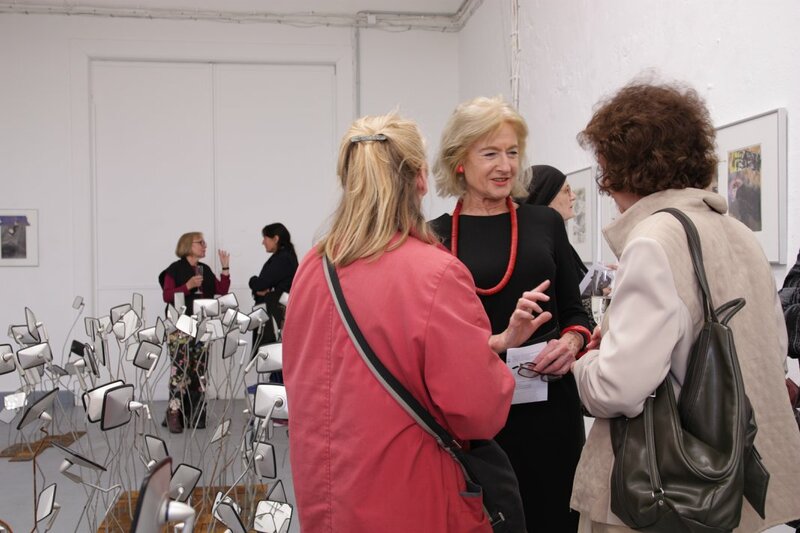 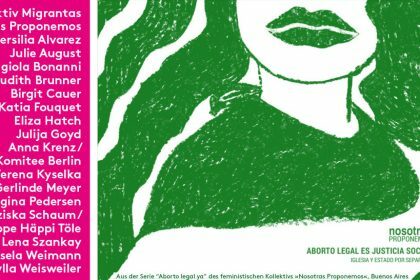 Gisela Weimann’s parallel exhibitions in Berlin and Madrid not only mark a resumption of her collaboration with Brita Prinz Arta and the continuation of her long-term cooperation with alpha nova & galerie futura, but also the beginning of networking the art spaces, gallerists, and artists. 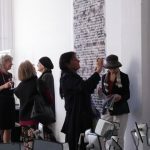 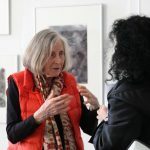 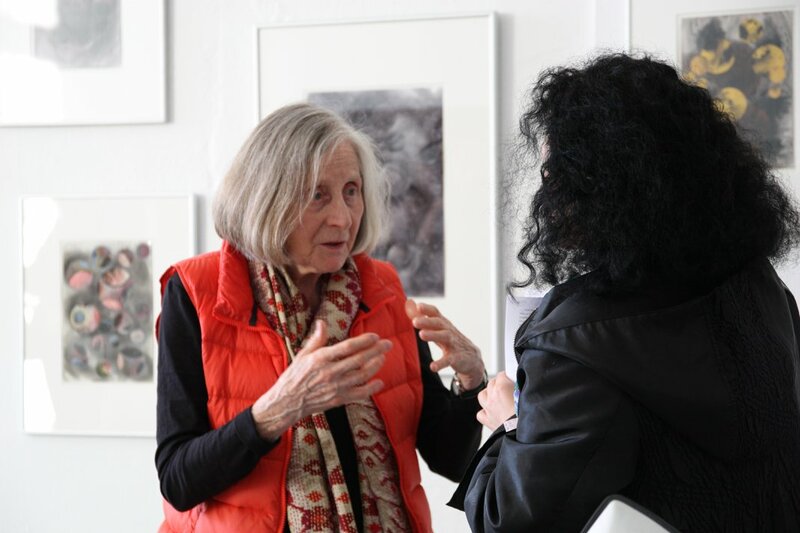 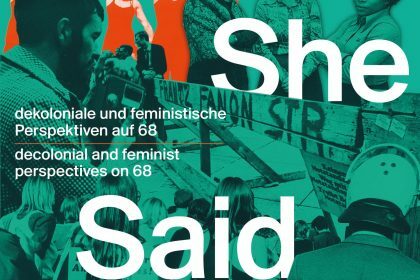 This new connection is a mosaic in Weimann’s extensive international network, which she herewith extends further, bringing together people, places, and contexts – and opening the space for new alliances in the future.